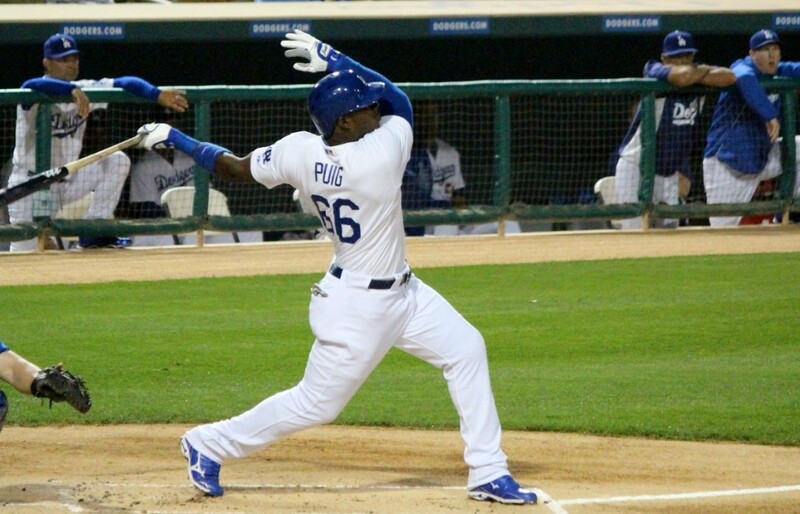 Most Dodgers fans are aware by now that Yasiel Puig is already at the center of a firestorm. And unfortunately, it is what it is no matter who you think is to blame. Puig isn’t doing himself any favors at the moment, and his name will always generate attention, so get used to the mess no matter what happens. But at the end of the day, unless there’s some type of legal or Milton Bradley-esque meltdown, what it really comes down to with Puig is how he does on the field. Would anybody even care enough to criticize OR defend him if he was a mediocre player? Probably not. So Puig’s performance is what powers a lot of the attention, and while Daniel took a look at his baserunning value recently, I wanted to look at how his hitting might project for 2014. The word of the day when it comes to Puig’s 2014 is “regression”. Expect it to be used a lot about him, and primarily because it’s the rational thing to expect. The expectations in some quarters is that Puig will be able to build on his 2013, and that’s exactly why he’s considered overrated to many, because it’s unrealistic to expect that out of him. Personally, all I really want from him is something I would label a “consolidation year”, where he regresses a bit due to unsustainable BABIP but shows signs of combining his skills into a sustainable foundation that he can build with in the future. His 2014 projections all reflect the inevitable regression from his 2013 BABIP, but they all also believe he will end up as a 4-5 WAR player. As you can see, he’s still a quality hitter, but he’s not an elite one, and the batting average regression leads to a lower overall slash line. His performance, in large part, is tied to how far his BABIP regresses, and according to his batted ball distribution, his expected BABIP in 2013 was .348. So if he’s the same hitter as last year, there’s evidence he might be closer to the always optimistic Oliver projection than anything else. But I’m not all that worried about his BABIP regression. No, the real concern for me is that he probably should have struck out more than his line indicated. In short, he swings at too many pitches outside the strike zone, he doesn’t make enough contact when he does chase, and he just generally swings and misses way too much. That hasn’t mattered a ton so far, but it is a red flag as far as his progression at the plate goes, and it’s something to monitor in 2014. So the prudent thing is to expect Puig to put up something like the Steamer/ZiPS/PECOTA lines and go from there. I get the general feeling that expectations with Puig are a bit out of whack at the moment, and even if you take the optimistic approach, you shouldn’t expect a hitter anything like the guy we saw in 2013. That doesn’t mean he’s not valuable, not at all, it’s just unfair to him if fans go around expecting a Cuban version of Mike Trout. So what about his late-season collapse though, right? 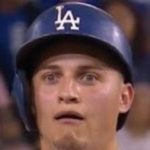 Pitchers figured him out and just punished him, according to Bill Plaschke and other concern trolls. Put simply, it’s garbage and insulting to MLB players. They “figured him out” in July or earlier because they’re MLB players and not idiots. Especially in July, they started to bust him up and in with hard stuff early in the count to get ahead, then made him chase soft stuff down and away. This should sound familiar to anybody who has observed Matt Kemp‘s career. But like Kemp, Puig made adjustments back. While everybody hand-wrings over his unsustainable BABIP early, they ironically seem to completely ignore that he had a .214 BABIP in that late-season “slump” and STILL posted a 121 OPS+, well above league average. That’s exactly why I made the case that his September was more promising than worrying, specifically because he managed to be productive without an insane amount of ground ball singles. Also, that swing and miss rate I talked about earlier? It stabilized or improved late in the season, but listening to people talk about his performance at the end of the year, you’d think he was the absolute worst or something. So pundits can sit there and pretend that they “saw it coming” or whatever if Puig gets off to a slow start, but there’s no evidence that his late-season “slump” was anything but BABIP-luck induced. You know, sort of like how many point out his early season success was BABIP-luck induced. It works both ways, but admitting his September/October were unlucky doesn’t fit the narrative. Most importantly, though, does any of this carry over into 2014? Who really knows? We hope his progress does, but we don’t really know what Puig has been or hasn’t been working on. He’s far far far far far from a complete player and has a lot to learn at the plate, but he DID learn last year over the course of the season. So if that carries over, he has a chance to put up sustainable numbers that will make him extremely valuable in 2014, even if he doesn’t end up outstanding.